The 2019 Final Call Letter brought significant new changes to Medicare Advantage (MA) benefits in 2019, including the elimination of the meaningful difference requirements and benefit uniformity flexibility, as well as a reinterpretation of supplemental benefits. Combined, these changes offer the biggest opportunity to MAOs in years. In the past, supplemental benefits could only be offered for direct medical services, like hearing, dental and vision. Through the policy reinterpretation, CMS is opening the door to the creation of new supplemental benefits that address the indirect influencers of health, also known as the Social Determinants of Health (SDOH). Eligible new benefit extras include transportation services, assistive devices, in-home care and adult day care. A plan can choose to help individuals with basic “activities of daily living,” such as walking, as well as with the “instrumental activities of daily living,” such as taking medications correctly. Essentially, CMS wants to redefine health plan extras to include services that improve the quality of life, and in turn, health. They hope that doing so will diminish the impact of injuries and health conditions, decrease avoidable emergency room utilization, and compensate for physical impairments. While the Final Call Letter was somewhat open-ended in defining the scope of newly permitted extras, at a Medicare conference at CMS headquarters in Baltimore this May, Seema Verma, the administrator of CMS, brought a bit of additional clarification. 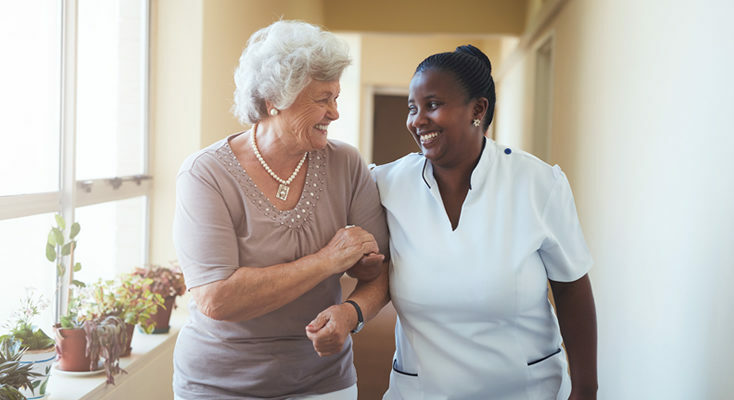 She explained that as of 2019, Medicare Advantage plans can cover adult day care services and in-home help with activities such as dressing, bathing and managing medications. Additionally, Medicare Advantage beneficiaries will have access to safety devices to better prevent injury in the home, including stair rails, grab bars, and mobility ramps. The goal, she emphasized, is to meet the needs of people with specific conditions by helping to unleash private-sector innovation and creativity. “For the first time ever, Medicare Advantage beneficiaries can access significant new flexibility for additional benefits that can help them live healthier, more independent lives,” said Verma. Plans adding benefits based on the supplemental benefits interpretation must make sure the benefits are ”primarily health related,” and not purely for a patient’s comfort. CMS defines primarily health related as “an item or service that is used to diagnose, prevent, or treat an illness or injury, compensate for physical impairments, act to ameliorate the functional/psychological impact of injuries or health conditions, or reduce avoidable emergency and healthcare utilization.”A primarily health related service must be recommended by a physician or other licensed medical professional as part of a care plan. Extras can also not be used to induce enrollment or to target on a discriminatory basis. For example, a plan can offer tailored deductibles and wellness options to a person with diabetes, but cannot target based on an enrollee’s income or poverty level. Plans may only tailor to health status and must use “objective and measurable” criteria to identify eligible enrollees. The recently passed Bipartisan Budget Act (BBA 2018) will further expand the range of Medicare supplemental benefits chronically ill enrollees can get starting in 2020, defining benefits to chronically ill members as services that “have a reasonable expectation of improving or maintaining the health or overall function of the chronically ill enrollee and may not be limited to being primarily health related benefits.” The policy will also allow telehealth services to be provided as a basic benefit of Medicare Advantage. These provisions are not effective until plan year 2020, but it’s clear CMS is softening their introduction this year. Combining the flexibility to offer new supplemental benefits with the ability to segment the market opens the door to all new market share growth opportunities. While CMS expects plans to make adjustments to their annual offerings to meet the unique health care needs of their plan population, it’s not yet clear if plans are going to introduce new extras in 2019. What will be interesting to see though is how the Medicare Communication and Marketing Guidelines instructs plans to communicate these plan-specific benefits without being overly complex or discriminatory. Some groups have advised that a standardized template be offered for describing the additional benefits offered based on health conditions in evidence of coverage documents, marketing communications, and in Medicare Plan Finder descriptions. While additional guidance and oversight is certainly needed, these policy revisions offer a toolbox for plans to create differentiated market value with. If you’re offering targeted benefits for CY 2019 or planning to in 2020, then now is the time to ensure you have the 1:1 composition software in place to support fast and efficient output of personalized communications. As the strategic systems integrator for a world-leading variable data software provider, we are experts in helping healthcare companies integrate the systems needed to seamlessly compose and produce 1:1 member communications on-demand. To learn more about our personalized composition software and services, call 203-731-3555 or email inquiries@cierant.com.